Let’s face it: Choosing the right bottles for your bar, restaurant, or retail store isn’t always easy. 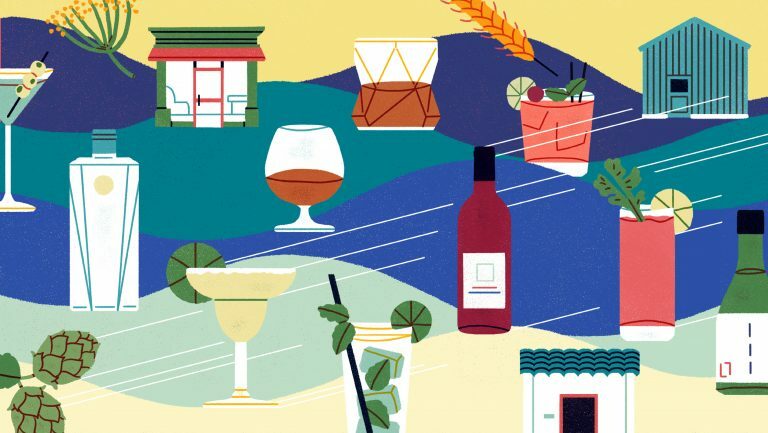 There are emerging wine regions to consider, trendy spirits to taste, and new producers entering the market. And with so many products to choose from and business goals to consider, deciding which bottles to buy (and when) can be downright overwhelming. But it doesn’t have to be. As a buyer on SevenFifty, you already have access to one of the most versatile tools in your SevenFifty toolbox: Lists. 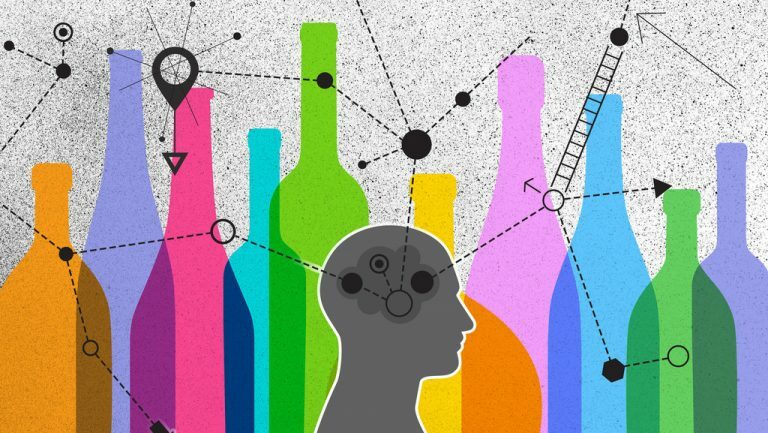 When it’s time to refresh your by-the-glass offerings or change your inventory, you want to have a clear idea of what to buy. Take a more systematic approach to planning future purchases by using the Lists tool. 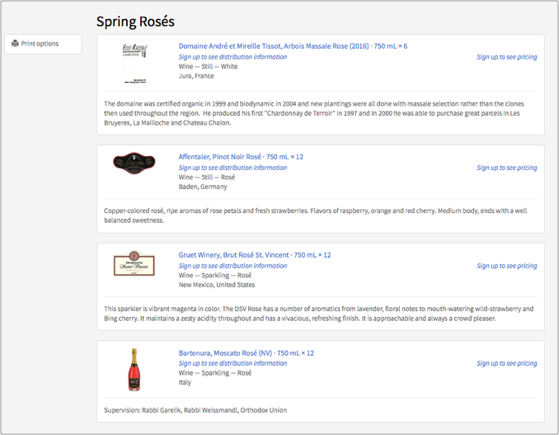 Create personalized product catalogs like, “Spring Rosés,” “Holiday Sparklers,” or selections of go-to bottles from more esoteric regions. If you’re looking for a particular flavor profile, but don’t know what to taste, send your rep a list of specs. Your sales rep can search SevenFifty’s database and add products you may like to your list. 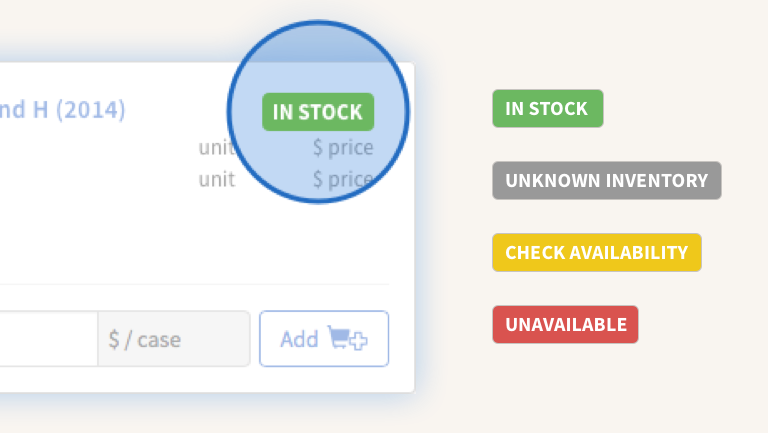 Edit the list and send it back and forth with your rep until you find the products you need. Share a list to promote an upcoming tasting, or during a tasting to gauge customer interest in a new product before you commit to buying several cases. 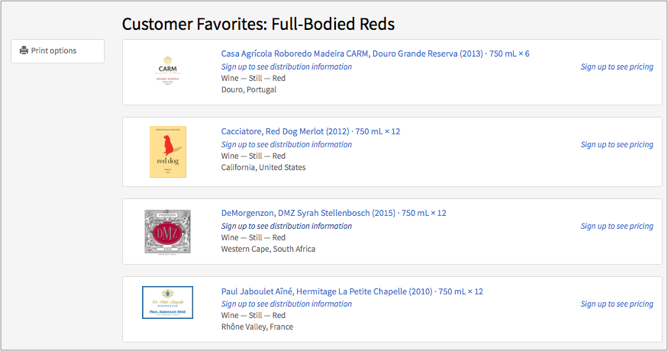 Keep track of customer favorites, then encourage your customers to get out of their comfort zones by introducing them to lesser-known wines with similar flavor profiles. Provide a better experience for your customers by getting to know their likes and dislikes. It’s tasting season. You finally get a chance to sample those more expensive and hard-to-come-by wines. But during tasting season, you may sample a lot of wines. Get the most out of your portfolio tastings by making a list of what you tasted and enjoyed. When it’s time to order, you’ll know exactly what products to buy. The Lists tool can help you make your staff training program more efficient. 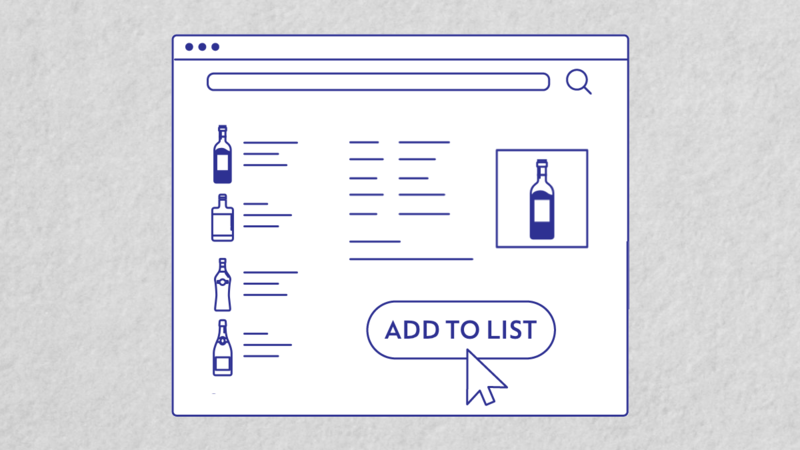 Use a list to brief your staff on recent changes to your wine program or whenever you introduce new bottles into your store. 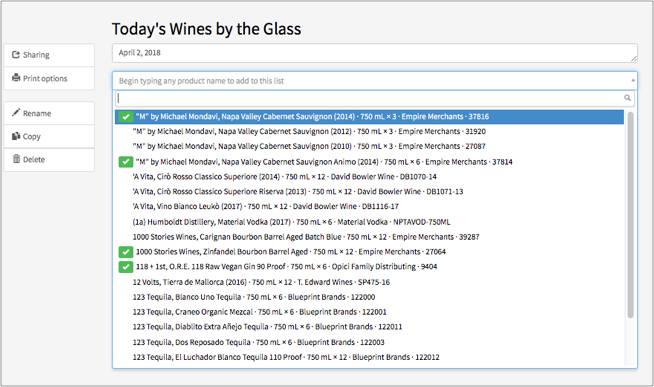 Create a “Today’s Wine by the Glass” list for your servers or a “Trendy Spirits” list for your bartenders. 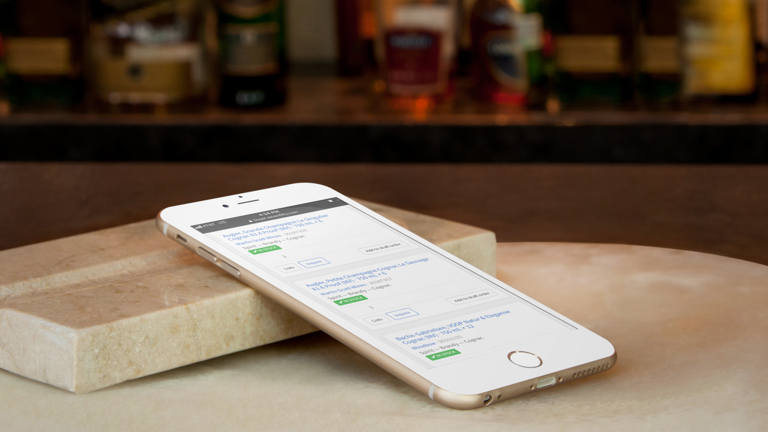 Invite team members to collaborate on your list or share a read-only version with your team. 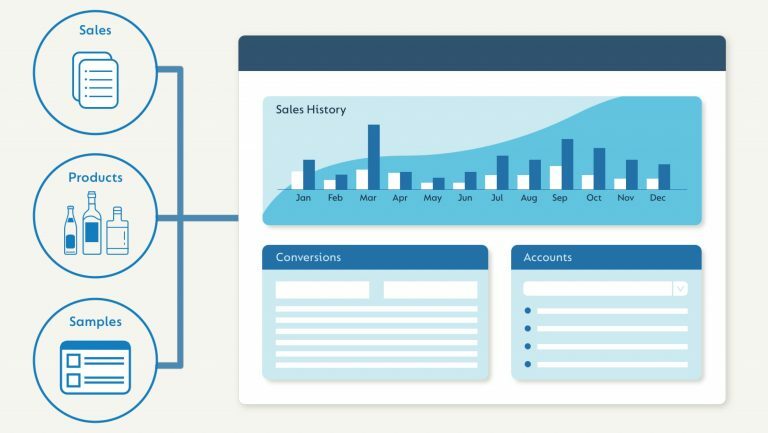 Stay organized, plan ahead, and keep your staff (and customers) informed by using Lists on SevenFifty. Learn more about how to use Lists on SevenFifty. Ready to create a list? Log in to get started.